G2 scores products and vendors based on reviews gathered from our user community, as well as data aggregated from online sources and social networks. We apply a unique algorithm (v3.0) to this data to calculate the customer Satisfaction and Market Presence scores in real time. Note: The customer satisfaction score is normalized for each Grid®, meaning the scores are relative. G2's Market Presence score is a combination of 15 metrics from G2's user reviews, publicly available information, and third-party sources. Both the software vendor and the individual product are measured on various criteria. The criteria are listed below in order of importance. Product metrics receive greater weight than vendor metrics. Each input is normalized by category and segment. This means that scores are relative to other products in the category/segment and may change from segment to segment. The scores are then scaled from 0-100. 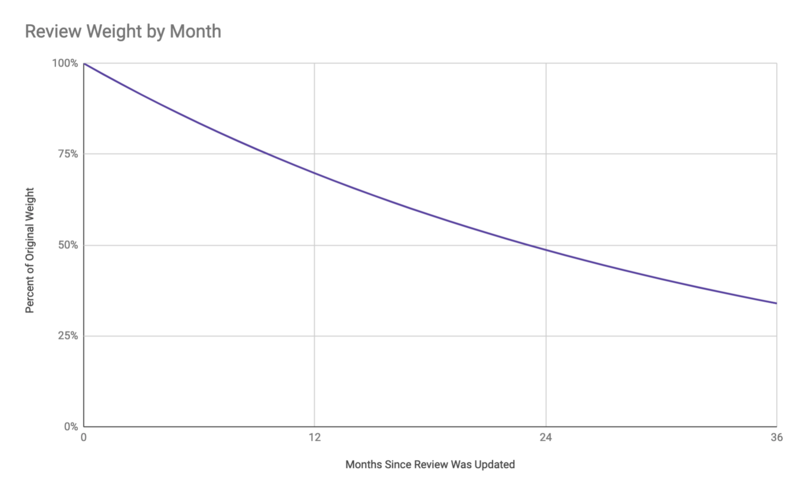 To keep G2's algorithms fresh and up to date, a decay is applied to reviews based on their last updated date. Reviews are worth less toward both the Satisfaction score and the Market Presence score as they age. The exponential decay is compounded daily. The rate roughly equates to -3% per month or -30% per year. Reviews also receive bonus weight based on the source and quality of the review. Bonus weights are internal to G2. Segmented Market Presence scores measure both the scale of a product within a category as well as the degree to which the product focuses on a given segment. G2 rates products and vendors based on reviews gathered from our user community, as well as data aggregated from online sources and social networks. We apply a unique, patent-pending algorithm to this data to calculate the product's Usability score. The information shown reflects scores calculated using the G2 usability algorithm v1.0 BETA in real time. G2 rates products and vendors based on reviews gathered from our user community, as well as data aggregated from online sources and social networks. We apply a unique, patent-pending algorithm to this data to calculate the product's Results score. The information shown reflects scores calculated using the G2 results algorithm v1.0 BETA in real time. G2 rates products and vendors based on reviews gathered from our user community, as well as data aggregated from online sources and social networks. We apply a unique, patent-pending algorithm to this data to calculate the product's Implementation score. The information shown reflects scores calculated using the G2 implementation algorithm v1.0 BETA in real time. G2 rates products and vendors based on reviews gathered from our user community, as well as data aggregated from online sources and social networks. We apply a unique, patent-pending algorithm to this data to calculate the product's Relationship score. The information shown reflects scores calculated using the G2 relationship algorithm v1.0 BETA in real time. G2 puts logic in place to ensure the reviews shown on product pages are the most helpful to buyers. When the page is sorted by default, the sort is calculated with a custom algorithm that includes the following data points. The G2 Star Rating is calculated by aggregating reviewers' answers to our Likely to Recommend question (1–10 scale) and dividing the average in half. You will see half stars because the visual is rounded up to the nearest half.